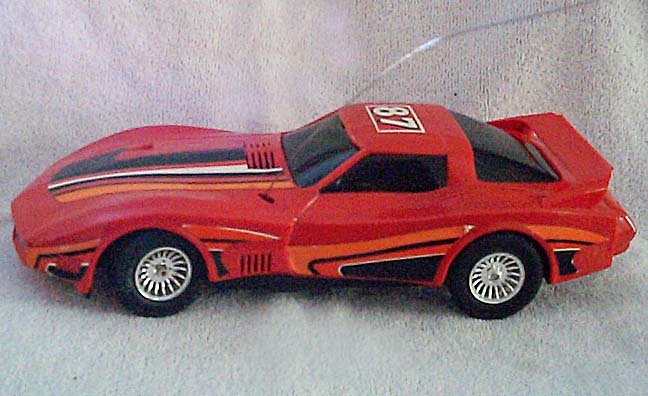 A variety of miniature Corvettes based on Greenwood designs exist in several forms, including scale Model kits, Diecast replicas, Slot Cars and Remote Control cars. 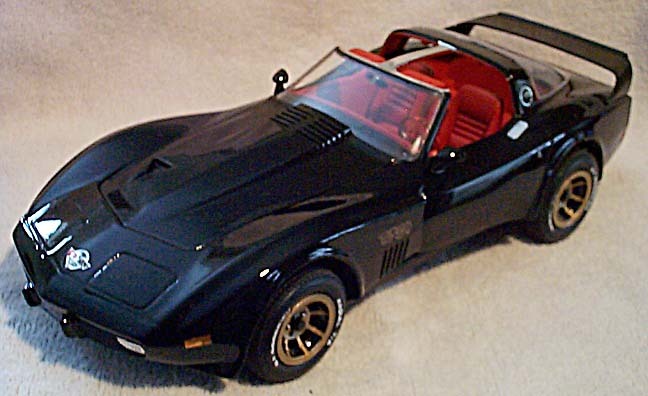 Just like their real world counterparts, some of these Corvette toys were duplicated exquisitely while others were nothing more than loose approximations. One thing remains clear, the Greenwood influence is apparent in all of the toys listed here. Whether credit was given to the Greenwoods for these inspired toys or not, the family resemblance is unmistakable. The most popular replicas to appear in toy form are of the more famous Greenwood race cars, particularly those raced at Le Mans and Sebring. When it comes to Diecasts, the most prevalent are the BFG team cars. 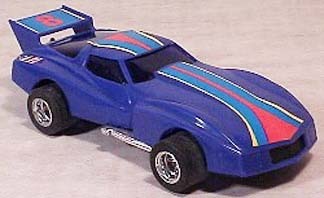 There are more of the wide-bodied racers in the Model, Remote Control and Slot Car categories than are found in the Diecast group. The street cars are represented primarily in the Model Kits and Remote Control divisions as Sebring/GTs and Turbo GTs. I have seen only two representations of the Greenwood Sportwagon in miniature. 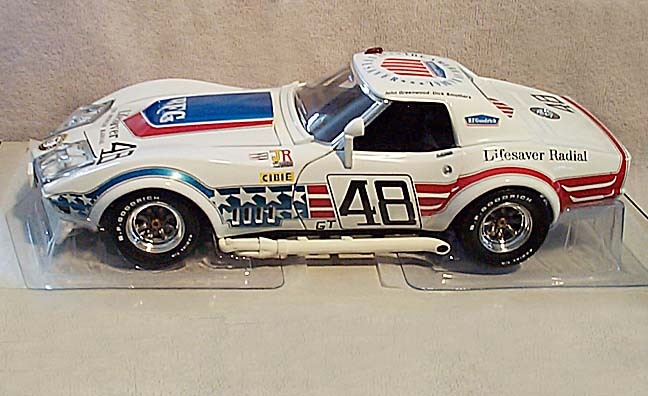 One was a custom made 1:43 scale model that was built as a pro-street version and the other was a limited run of 50 conversions of the UT 1978 Corvette. The other four Greenwood body styles are represented, in one form or another, in at least one of the four Toys divisions. The C4s aren’t represented at all as far as I know, with the exception of a lone 1:43 model of a C4 with the Greenwood Aero kit installed.